Disney Cruise Line provides an unforgettable vacation experience for families, and is worth the premium over other cruise lines. 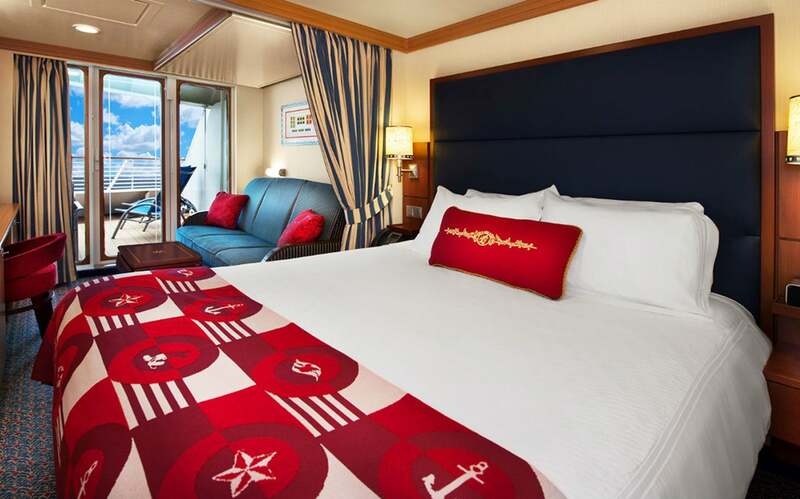 The pros: Impeccable attention to detail, personalized service and family-friendly staterooms. The cons: Expensive and unreliable Wi-Fi. This review is part of TPG Guest Pass Series, where celebrities and influencers share tales of their recent vacations booked with points and miles. 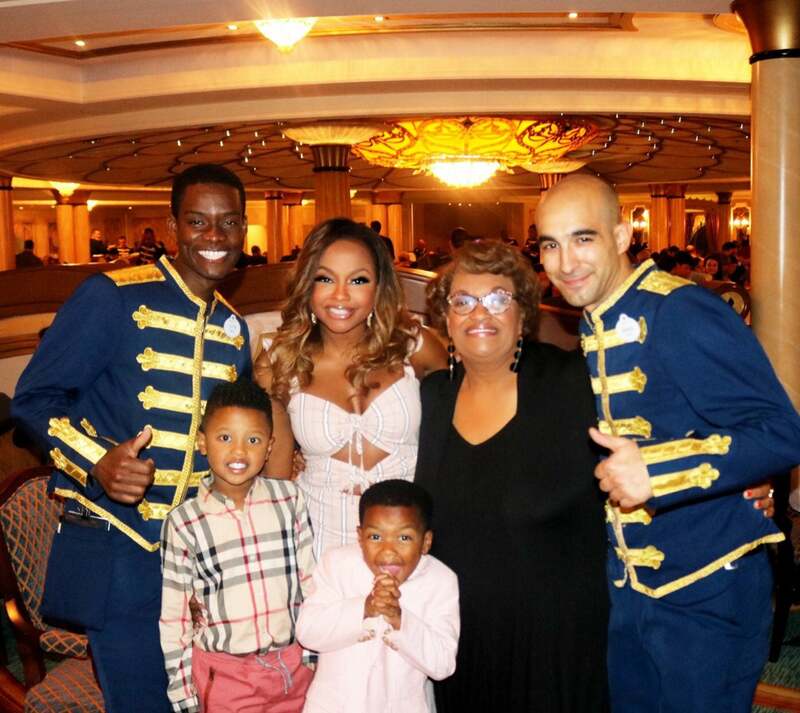 This week’s story comes from reality star and successful attorney, Phaedra Parks, known for her big personality on The Real Housewives of Atlanta. 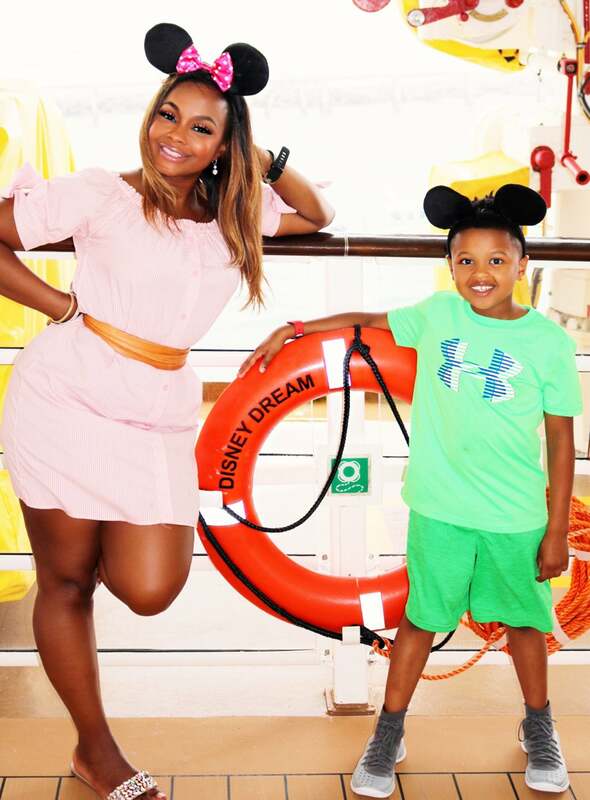 We sent Parks and her family down to Florida to experience the magic of a Disney cruise. 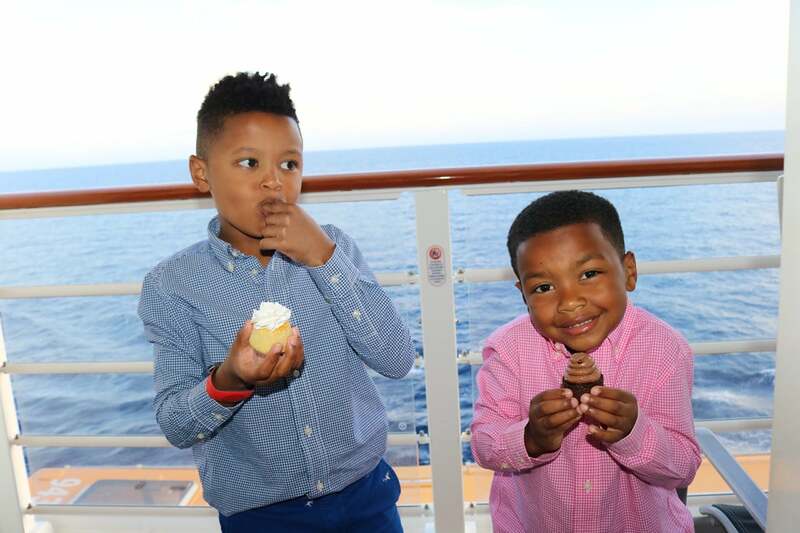 After our annual holiday visit to Disneyland in Anaheim, California, my sons Ayden (8) and Dylan (5) really wanted to go on a Disney cruise. I’ve cruised with Royal Caribbean, Carnival and even National Geographic before, so I consider myself a seasoned cruiser. That being said, I’d never cruised with Disney — or with children — so this experience was sure to be different than the cruises I’ve been on in the past. After five days on board the Disney Dream, I’m here to tell you why this cruise is worth every penny. This four-night Bahamian cruise on board the Disney Dream departed from Cape Canaveral, Florida, near Orlando, and called at Nassau, Bahamas, as well as Disney’s private island in the Bahamas known as Castaway Cay. Bad weather kept us on the ship in Nassau, but Castaway Cay is a true Bahamian paradise. We spent the day there relaxing on the beach and playing in the crystal-clear turquoise water. The boys and I chose to partake in a snorkeling excursion while my mother relaxed in a hammock near the beach. A delicious BBQ was on hand as well — too bad that the seagulls enjoyed it as well, attacking unattended plates. Rough seas made the snorkeling a bit less than ideal, but the water was beautiful. The search for our cruise began at CruiseCompete.com, a site that allows you to compare cruise prices across multiple travel agencies. Ultimately, TPG booked my four-night cruise through a site called Cruise Vacation Outlet and ended up saving a few hundred dollars over the quote that came directly from Disney Cruise Line. The cruise cost a total of $5,750, and was paid for with the Chase Sapphire Reserve card, to take advantage of its 3x bonus category on all travel purchases (excluding $300 travel credit). The purchase earned a total of 17,250 Ultimate Rewards points, worth about $362 according to TPG’s latest valuations. We booked a Deluxe Family Oceanview Stateroom with Extended Verandah to better accommodate my family (more on that later). After we were booked, Disney’s customer service was outstanding. Agents called several times before departure to confirm details with me. They also sent a personalized booklet and luggage tags to help make the boarding process smoother. I loved having the ability to go online before leaving to make dining reservations and to book activities and shore excursions. Their customer service line was very efficient, however one representative was not informed about the character calls — pre-recorded “welcome aboard” calls from Disney characters such as Mickey Mouse or Goofy — which are handled by a third-party vendor. Boarding time can be scheduled online to avoid long wait times, and it was special to be greeted by name by Disney representatives and characters as we boarded the ship. The terminal was very clean and organized. With luggage tags provided before boarding, the expedited boarding system worked flawlessly. We were escorted by a staff member and boarded the ship within 10 minutes of our arrival. The process went so fast we didn’t even notice that there even were Disney characters walking through the port. Our stateroom was very comfortable, well-appointed and loaded with family-friendly features. The prime example of this is that the bathroom featured a split design: one room contained a toilet and sink, while the other featured a tub/shower and another sink. I can’t overstate how convenient this feature was — being able to complete certain phases of getting ready simultaneously was a true luxury. 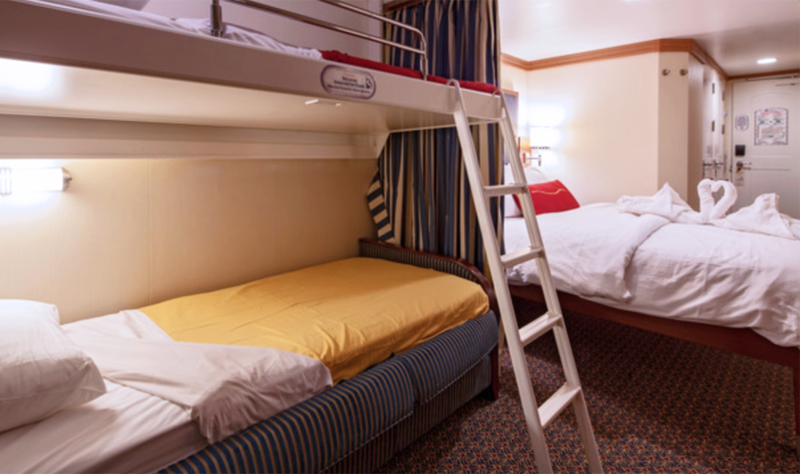 Another family-friendly feature of the room was how Disney designed the sleeping quarters — our stateroom featured a super comfy king size bed and a sitting room that doubled as two more beds at night. By day, there was a regular couch, but by night the couch converted into a twin bed, and then another bunk bed folded down from the star-adorned ceiling. The kids were in awe of this feature — it was magical coming back to the room after dinner to find that it had been transformed into a space with plenty of sleeping room for four people. To top it all off, the two areas were separated by a nautical-looking curtain to provide a degree of privacy in what otherwise was a pretty small room. The food was hands down the best I’ve had on a cruise. The dining staff rotated to each restaurant with you, which made for a very personalized experience, as we got to know the wait staff very well. Special care was taken to make each meal magical for children, but The Animator’s Palate restaurant especially stood out to our family. From the Mickey-shaped ketchup bottles to personal greetings by Disney characters, we made a lot of lasting memories. Each day after our activities there was a wonderful treat waiting for us in our room — crudités and charcuterie or cupcakes. The Oceaneer’s Club and Children’s lab were both a ton of fun for the kids — they begged to go every day. They provided exactly what you’d expect from Disney — nothing but fun. The kids could choose between science, cooking, dancing, games and educational activities. I’m a protective mom, but the staff took care in making me feel safe leaving them there to enjoy themselves. There’s a high peace-of-mind quotient for parents, too — the kids receive a GPS wristband so you can check in on their whereabouts at any time. 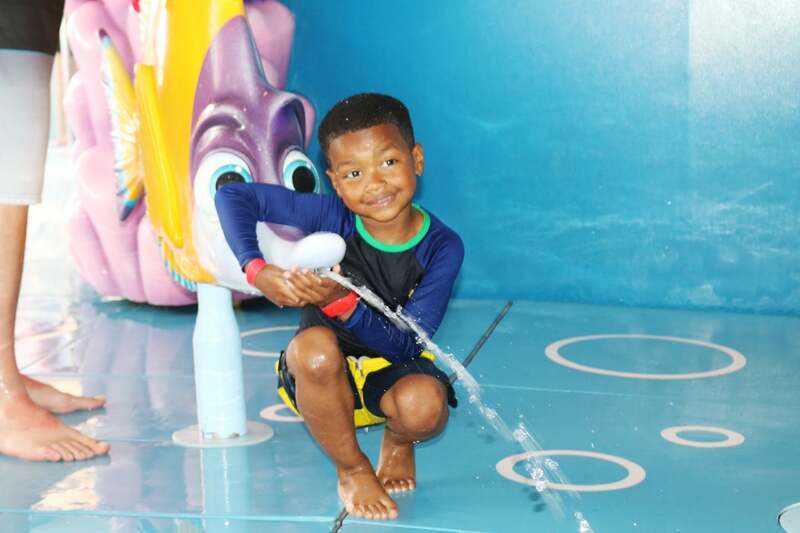 The water areas are certainly kid-friendly, with shallow pools for non-swimmers, a splash pad and the water coaster known as the AquaDuck. The boys and I had an absolute blast on the AquaDuck — we rode it too many times to count. In true Disney form, the evening shows capped each evening with enchanting entertainment. Disney Cruise Line’s performance of “Beauty and the Beast” was comparable to what you’d get on Broadway — no expense was spared in terms of costumes and production! In addition to live shows, the ship featured a movie theater where my mother particularly enjoyed catching the latest flicks. However, beware that the popcorn is not free at the theater! The service and attention to detail you receive on Disney is definitely a step above the other mass-market cruise lines, and it’s these little things that make the extra cost of a Disney Cruise worthwhile. The only area in which I can knock Disney is in the Wi-Fi department — I spent almost $200 on Wi-Fi but really only had a reliable connection about 50% of the time. Definitely not ideal for working parents who need to stay connected. 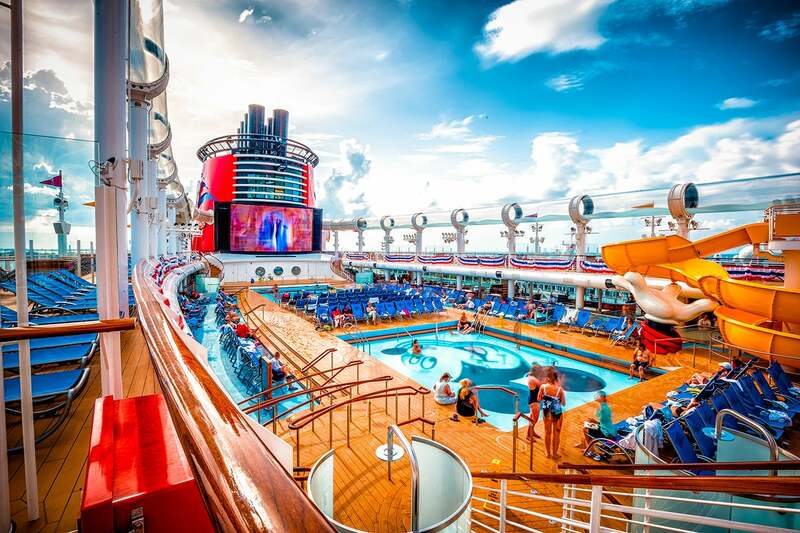 Despite the Wi-Fi woes, hopefully you’ll be able to disconnect, not worry about what’s going on back at home and let Disney Cruise Line do what it does best: wow you with impeccable attention to detail, exemplary service, family fun and, of course, all those magical moments that turn into unforgettable memories. Featured image courtesy of Disney. Other images by the author unless otherwise indicated.